No matter where you land on the political spectrum, the socio-political climate since the 2016 general election has been chaotic, and even dangerous for some communities. It can feel hopeless sometimes, reading about the administration’s policies regarding immigration, women’s health care, LGBTQ rights, and a number of other issues. But we’re not powerless, which is why voting in the midterm elections really matters. Our democracy is built on checks and balances, and the midterm elections are one of those checks. We’re not going to be able to vote for a new president, but we can vote for our representatives in Congress, along with new governors in 36 states and many judges’ seats up for grabs. These people have a lot of power and influence. If you are resisting the Trump administration, this is your chance to flip Congress to the other side. Likewise, governors, judges, and state attorneys general have been instrumental in both resisting the Trump administration — by opposing the travel bans, ruling on the constitutionality of immigration policies, or declaring sanctuary cities — and supporting it. By turning out to vote in November, we can all actually make a difference. But way too many people sit out the midterm elections, even though they know how important they are. According to the Pew Research Center, America has some of the lowest voter turnout in the developed world. The New York Times reports that for every 10 Americans, only six turn out to vote. But it’s not because they’re uninformed, lazy, or just don’t want to vote. 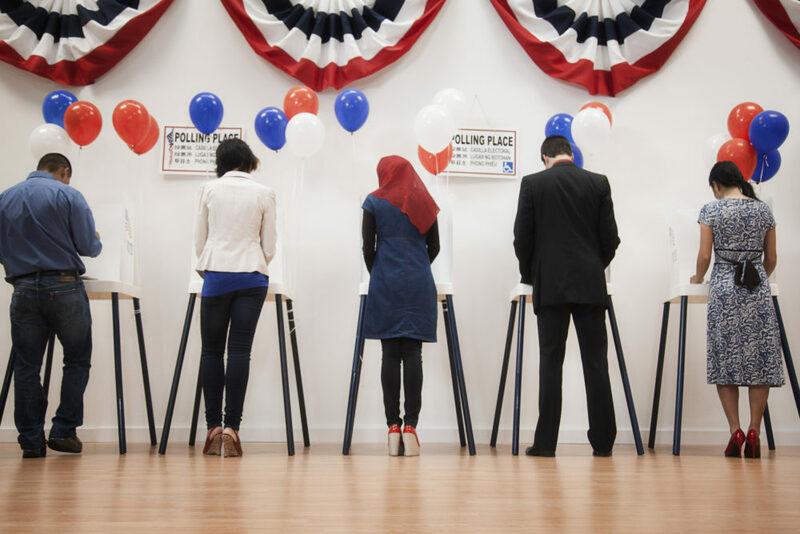 In fact, the Pew Research Center found that many eligible voters don’t make it to the polls for a wide variety of seemingly unrelated issues. Many low-income voters are unable to get off from work to go vote, or can’t find time between part-time jobs to make it to the polls. Yes, employers are required to give people time off to vote, but that often only applies to workers who don’t have two consecutive hours off while polls are open. If you work two jobs, that doesn’t really help. Employers aren’t required to pay workers while they’re out voting either, which means that going to the polls = losing money. Other reasons people can’t vote are equally infuriating — like people not being able to access transportation, or being able to find child care. Voter ID laws and other forms of voter suppression are also rampant in conservative states and disproportionately affect black people and other people of color. A lot of these issues, including gerrymandering, are up for discussion in our courts and in Congress these days, which means that voting in November also means working towards a solution to even these problems. Basically, getting to the polls this November means everything if you don’t like what’s going on these days. And, in addition to getting to your polling place, you should ask friends if they need a ride to the polls, someone to babysit their kid, or walk their dog so they can make it on time, and say something if you see someone being turned away at a polling place even though they’re registered to vote. There’s a lot at stake this year, for both Democrats and Republicans. Don’t talk yourself out of voting or assume that it won’t matter. It really does.